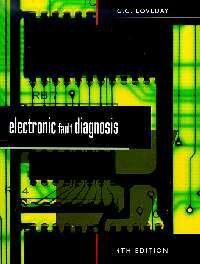 The fourth edition of Electronic Fault Diagnosis will assist the reader in gaining a working knowledge of fault finding on electronic instruments, circuits and systems. The fundamental aspects of a wide range of circuits are explored, from simple circuits and measurements to electronic systems, oscillators, power supplies and amplifiers, through graded fault finding exercises and diagrams. It has been updated with new circuit techniques, including linear and digital integrated circuits. It also features a whole new chapter on fault finding techniques for systems. This book assumes a basic knowledge of electronic theory. All circuits are given working examples with solutions and can be constructed by students.